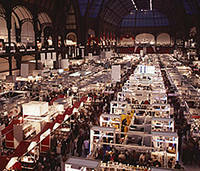 Tradeshows: G. J. Nikolas & Co., Inc.
G.J. Nikolas & Co., Inc. will be exhibiting for the first time at the Mid America Trucking Show in Louisville, KY March 31st – April 2nd. We will be featuring our new Sprayclad line of coatings. If you are attending the show please stop and see us at our booth #8561A. If you would like us to send you a complimentary ticket please just call our office or email mp@finish1.com and we will be happy to send it out to you. 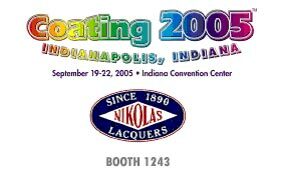 We will also be exhibiting at the Coatings 2005 Show in Indianapolis. This show will take place September 19th – 22nd. Start making plans to attend! We will have complimentary tickets available as the date approaches. Look for additional information in future Newsletters.